I've been released from the hospital and am recuperating at Mindy's house. 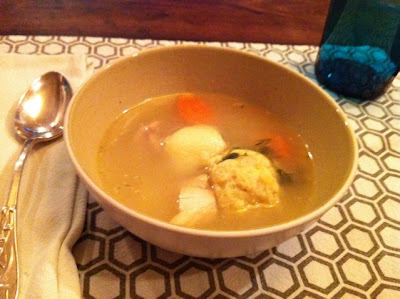 Last night, Sally (who is from Jamaica) made a delicious batch of Matzoh Ball soup. Myrna, Goldie, Mindy, Lucy and I enjoyed it while discussing Orthodontia.